Join the Uxbridge Free Public Library for a BOSTON HARBOR HISTORICAL SIGHTSEEING CRUISE on Monday, July 30th, 2018! Join Foxy Travel and the Uxbridge Free Public Library for a day in Boston! Start the day off in Boston’s famous Quincy Market and Faneuil Hall where guests will have approximately 2 hours on own to shop, explore and enjoy lunch. 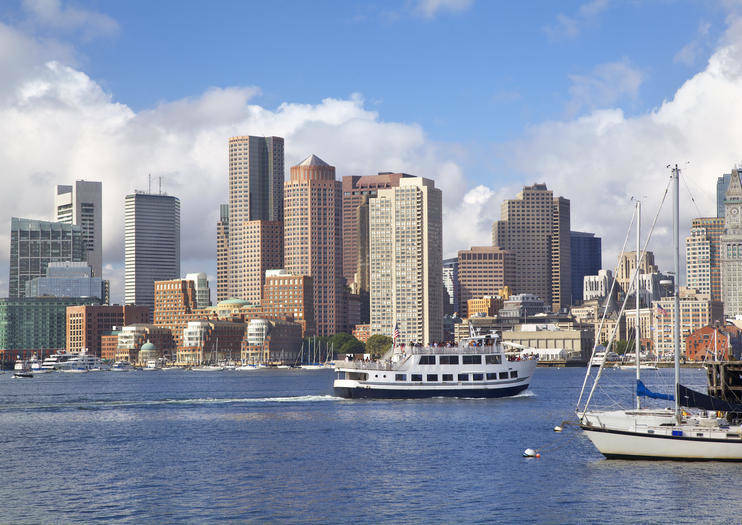 Then its time for the main event… a Boston Harbor Historical Sightseeing Cruise! This 90 minute fully narrated tour of Boston Harbor is both scenic and entertaining. A full beverage and snack bar is available on board. Directly following the Boston Harbor cruise, sadly it is time to re-board the Foxy Travel motorcoach and begin our return journey home.